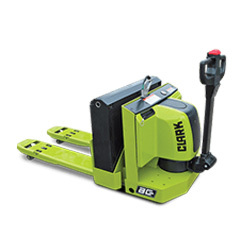 Need a CLARK Walkie-Pallet-Stacker for your business? 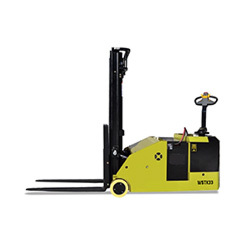 Located in York County, PA, Mid Atlantic Industrial offers a varity of CLARK Walkie-Pallet-Stackers for sale. Choose from many models. 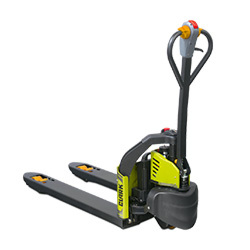 Walkie-pallet-stackers include stacker pallet trucks, narrow sidle stackers, rider pallet trucks , low lift pallet trucks and walkie reach trucks. 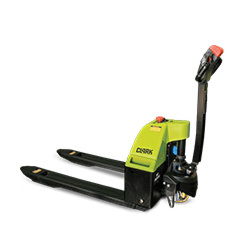 Perfect for warehouse, manufacturing and narrow aisle applications. 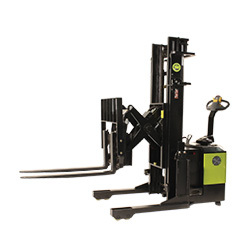 This line continues to set the standard for rugged dependability since its introduction as the industry’s first hydraulically powered low-lift in 1920. 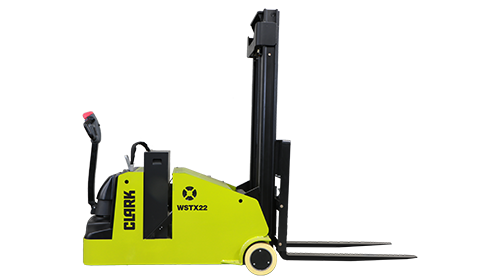 CLARK introduces the WSTX22 powered drive counterbalanced narrow aisle walkie for handling a variety of loads. Great for manufacturing and warehouse. Lift cylinder is hard chrome. Permanent magnet pump motor and chrome plated lift cylinder provides smooth lifting and lowering. 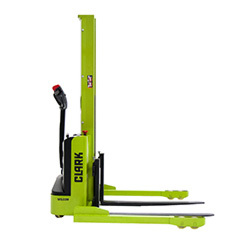 The foundation of the CLARK Powrworker® line continues to set the standard for rugged dependability since the 1st powered low-lift in 1920. State of the art optimized gear technology supplies advantages such as low noise level, high efficiency and high performance for manufacturing or warehouse. 24-Volt permanent magnet DC drive motor increases efficiency and duty cycle. 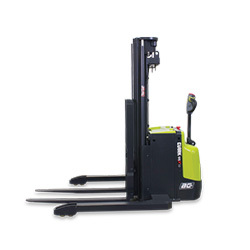 Great for light manufacturing, grocery & delivery trucks. 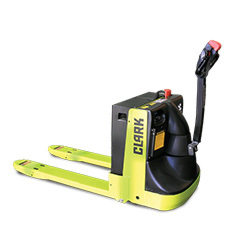 CLARK 100% AC design drive motors are fully enclosed with no brushes to change reducing operating costs. Keeps out dust and contaminatns. Lift cylinder is hard chrome. Pump unit includes motor, gear pump, and solenoid. Pressure compensated lowering valves regulates lowering speeds. 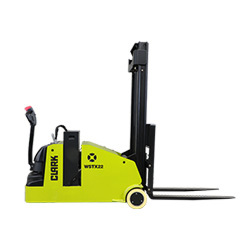 Permanent magnet DC pump motor and chrome plated cylinder provide for smooth and efficient lifting for warehouse, manufacturing and narrow aisle.